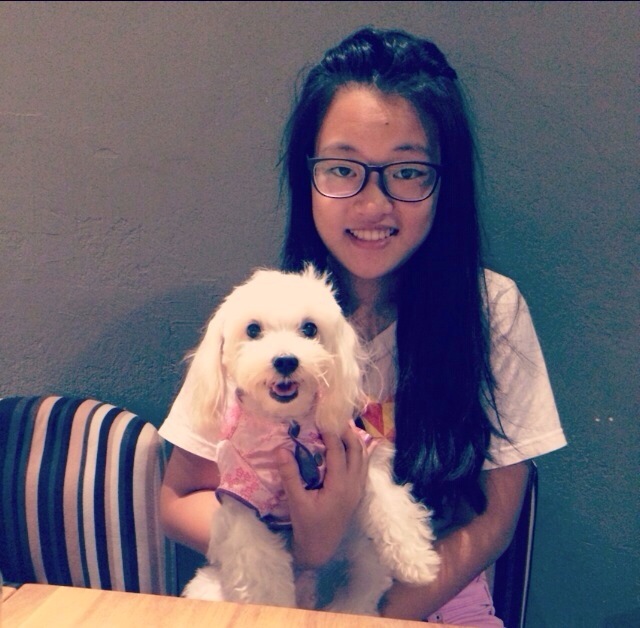 This blog is written by Jamie, Cotton’s 20-year old owner from Singapore, to record the adventures and journeys Cotton and I have together. Here, I also express my views on pet ownership and caring for Cotton, as well as share my tips, advice and recipes that worked for Cotton and I. We are so glad to have the opportunity to love Cotton, and she is now as happy as a dog can be. Thank you so much for taking the time to visit, and stay tuned for more amazing adventures to come! Support HOPE Dog Rescue and their good work here: www.hopedogrescue.blogspot.com. You can read her rescue story here and her adoption story here. Lovely photos 🙂 Such a sweet dog. Rescued animals are the best! You two look so happy together!!! Awwww…. I miss my Peanut! 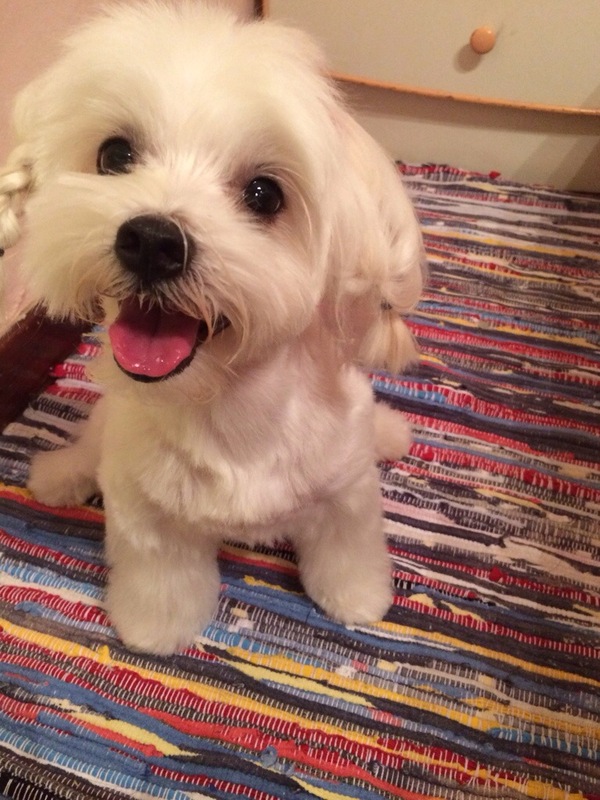 He was a Maltese too – a rescue from a puppy mill. He was missing one back foot, and all but part of the pad on the other, and when I had him he had a huge hole in his back from fleas – but he was the best little guy in the world. He lived for 10-years! My wonderful, wonderful vet wrapped his foot, gave me meds for his back, and after several weeks he was running the whole house! I miss him so much….. but he had a WONDERFUL life, and I wouldn’t change our time together for anything. Enjoy your WONDERFUL baby! I am so glad you found Cotton and that she has a good home now. She’s so cute and she does look like cotton. Is it wrong for me to want to dip her in toner and rub her all over my face? Forget I said that. HAHAHAHAHA i LOL-ed at you last sentence 😛 first time ever hearing someone actually comparing her to cotton facial pads!! 😀 hehe thanks! Well, hello Cotton! What a cutie you are! My Muffin was also found dirty, unkempt and exhausted…and she turned out as beautiful as you! So happy you were rescued. Beautiful!!! And really nice tipps!! Have fun together!!! Just reminded me about my Aillen (mongrel). I adopted her from her previous owner when they thought to stray her on street if no one wanted her. That time Aillen only two weeks puppies with her siblings (other three which later on only she survive). The previous owner just leaving them without proper nutrient. She was the only female and survive while the others died because of Parvo and bad treatment from others adopters. I was extremely angry that time when I knew the previous owner wanted to stray her and leaving the puppy to survive on street. I begged my mom for adopting Aillen and here she is, with me. Hi Jamie, so glad you found your foster dog Cotton. We have four dogs that we obtained that way – you can see them here (http://atrivialmindatwork.com/2014/05/31/the-dogs/). We will be following you to see how things go!! Hi, I wanted to thank you for liking my post, For the Dog Lovers–10 Interesting Facts. Cotton looks sweet. Bless for adopting her. Thanks for stopping by my blog. Cotton is so adorable.